Retiree Ed Hemsler (Academy Award® nominee John Lithgow) spends his quiet days watching the news, checking internet forums, and preparing for the end of the world. As a self-proclaimed “prepper,” Ed is constantly making arrangements for the future, often at the expense of things in the here and now—such as his waning health and his strained relationship with his adult son. 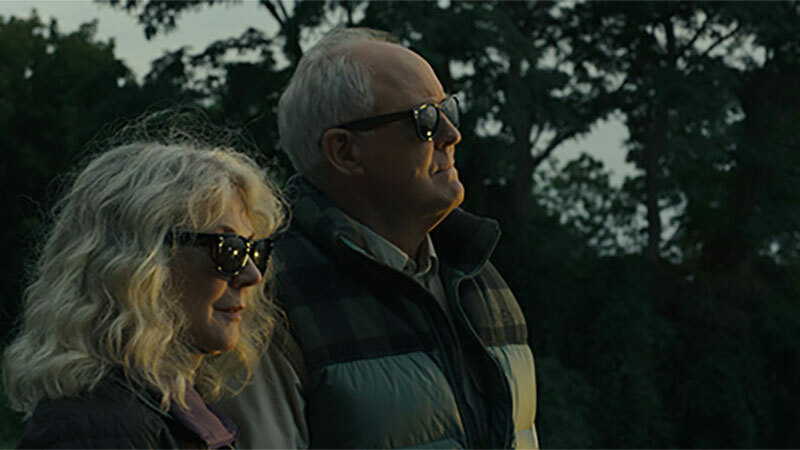 But then he spots Ronnie Meisner (Blythe Danner) and knows there is something different about her. These two eccentrics form an unlikely bond and are happy together despite their combined emotional baggage—until, one day, it all spills out before them. Lithgow and Danner, two of America’s finest actors in their first big screen appearance together, wholeheartedly embody Ed and Ronnie’s divergent yet complementary convictions about life and love. And as these two headstrong characters learn to embrace one another’s quirks, they also learn to accept each other’s outlook on what tomorrow holds in this gently humorous autumnal romance cloaked in a little mystery.